This book explains the method of applying the theories of Classical acupuncture into clinical practice. Theories are divided into four sections, which include: the foundation of Traditional Medicine, physiology in Traditional Medicine, aetiology, and pathology and symptoms. These are essential topics for understanding Traditional Medicine. 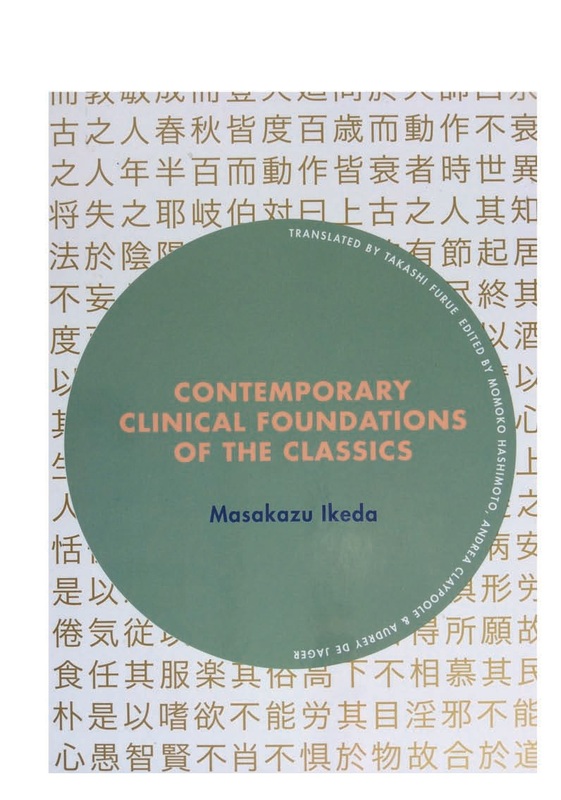 This book will also allow you to better understand the other textbooks written by Masakazu Ikeda, including The Practice of Japanese Acupuncture and Moxibustion Classic Principles in Action, and Integration of Acupuncture and Herbal Medicine: Theory and Practice. This book will even allow you to understand other textbooks. The original Japanese version of this book was written in 1993. Masakazu Ikeda develops his knowledge and skill through his daily practice. In this book, the translating team has added a large amount of information collected from other textbooks written by Masakazu Ikeda, and information has also been collected from attending his seminars. Masakazu Ikeda graduated from Meiji Oriental Medical Institue in 1968. Since that time he has devoted himself to the clinical practice of acupuncture, moxibustion and herbal medicine. He has trained many practitioners from countries around the world including Japan, Australia, United States and many European countries. He is also the author of over 20 textbooks in Japanese. The Practice of Japanese Acupuncture and Moxibustion: Classic Principles in Action was published in English in 2005, and Integration of Acupuncture and Herbal Medicine: Theory and Practice was published in English in 2010. He is currently in a private practice in Ehime prefecture, Japan. This book has been published for the sole purpose of making Ikeda Sensei's teachings and clinical knowledge available to the wider world. All proceeds will go into publishing his other books in English. Ikeda Sensei has been practicing, studying and teaching oriental medicine for over forty years. His theories and techniques based on traditional acupuncture are widely accepted around the world. His determination to understand classical acupuncture texts has set him apart and created a demand for his lectures even as he developed and maintained his clinic. With his years of experience Ikeda Sensei has developed a state of the art needling technique that is truly inspiring. His overall approach to healing is grounded in profound understanding of classic acupuncture and herbal medicine texts.